Born: 17 December 1863, Philadelphia, United States. Died: 31 July 1931, Philadelphia, United States. R.A.F. Penrose, American mining geologist, obtained his doctoral degree in geology at Harvard University in 1886 with a thesis entitled The nature and origin of deposits of phosphates of lime. The thesis was later published, with some additions, as Bulletin No. 46 of the United States Geological Survey (1888, 143p). From 1886 to 1888 Penrose was manager of mines for the Anglo-Canadian Phosphate Company. From 1888 to 1892 he did geological surveys for the states of Texas, where he worked on the Gulf Coast Cenozoic deposits, and Arkansas. In 1892, when the University of Chicago was established, he was appointed associate professor, and in 1895 professor, of economic geology. He held this post until 1911, though he devoted much time to his mining enterprises. In 1894, in addition to his academic post, he was appointed special geologist on the United States Geological Survey to examine and report on the gold district of Cripple Creek, Colorado. Between 1891 and 1929 Penrose published papers and reports on various topics in economic geology, including gold deposits in South America, nitrates in Chile, mining in New Zealand, and deposits of gold, iron ore, radium and uranium in the United States. His most important publications were the following thorough reports: The geology of the Gulf Tertiary of Texas (1890, 100p), Manganese: Its uses, ores and deposits (1891, 642p), The iron deposits of Arkansas (1893, 153p), and The mining geology of the Cripple Creek District, Colorado (1895, 98p). He visited mines in Europe, Asia, and South America, his longest and most trying trip being across Siberia before the Trans-Siberian reilway was completed. It seems that Penrose visited South Africa in or just before 1907, for in that year he published The Premier Diamond Mine, Transvaal, South Africa, as well as a paper, "The Witwatersrand gold region, Transvaal, as seen in recent mining developments" (Journal of Geology, Chicago, 1907). He was a member of many scientific societies and the first associate editor of the Journal of geology from 1893 to 1911. Though he was a modest person who shunned publicity, he none the less became the first president of the Society of Economic Geologists (1920-1921), president of the Philadelphia Academy of Natural Sciences (1922-1926), and was elected president of the Geological Society of America in 1930, the year before his death. As a director of several mining companies he left a large estate and, being unmarried, this was bequeathed to the Journal of Geology, the journal Economic Geology, the American Philosophical Society at Philadelphia, and the Geological Society of America. The mineral penroseite was named after him. Richard Alexander Fullerton Penrose, Jnr, 1863-1931. American Journal of Science, 1931, Vol. 22, pp. 479-480. 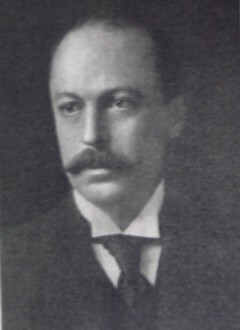 Richard Alexander Fullerton Penrose, Jr, 1863-1931. Journal of Geology (Chicago), 1931, Vol. 39, pp. 756-760. Spencer, L.J. Biographical notices of mineralogists recently deceased (fifth series). Mineralogical Magazine, 1933, Vol. 23, pp. 337-366 (see p. 357).